Did you know I have some beekeepers in my family? It's true, I do! My dad and two of my brothers have hives. In fact, I was just watching them build more hives last weekend. Bees can be fickle. They can swarm off, get parasites or the weather can get the best of them. This winter was pretty harsh, so they were all a little worried about how their hives would handle it. Luckily they all seem to have made it through and everyone is feeling quite optimistic heading into spring. So there are wildflower patches to plant and hives to build and honey to look forward to. Of course, I am secretly hoping some of that honey finds its way my direction! Last year one of my brothers tried his hand at making honey candy and my mom makes spun honey. Of course plenty finds its way on to toast and into homemade granola. But this summer I think that golden goodness should be made into more lemonade! This recipe is so easy to make and super refreshing. 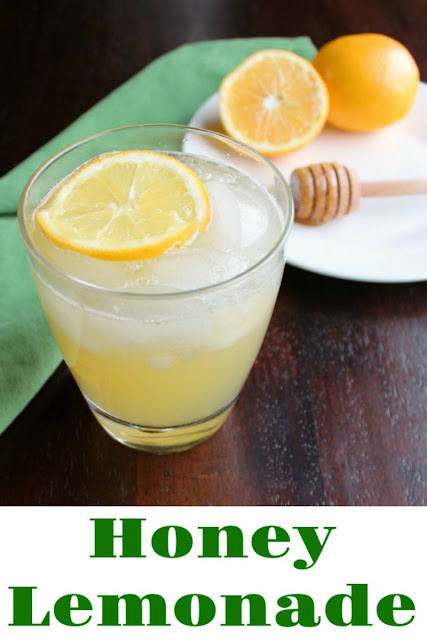 It has that depth of flavor that honey can bring and you could easily change that flavor with different honey varieties. I can imagine it would be wonderful with a citrus blossom honey. Of course local honey may help you with seasonal allergies a bit too! So go ahead and whip up a batch now. 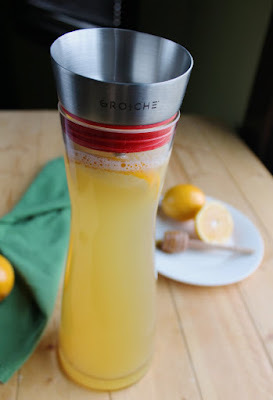 I made my lemonade in my new Grosche Rio pitcher. 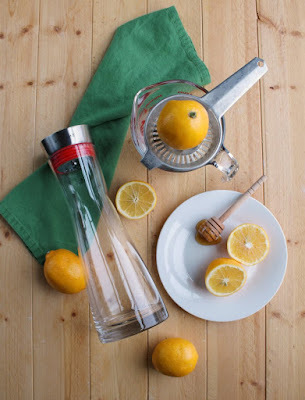 It has a built in screen that keeps larger solids from being poured, so it is perfect for infused water and sangria. It allowed me to put some lemon slices in the lemonade without worrying about them splashing down into the glass and making a mess. It also has a nice elegant feel which makes it perfect for setting out while entertaining. Plus Grosche has a sustainability mission and a great charitable purpose as well. They plant trees, provide clean water projects around the world and more! 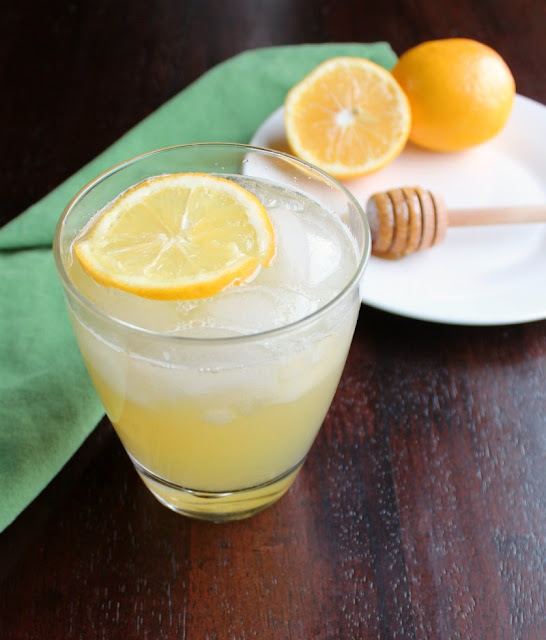 So get your glass of ice ready and whip up some honey lemonade. Then kick up your feet and enjoy a bit of sunshine. After the long winter, it will do us all some good! 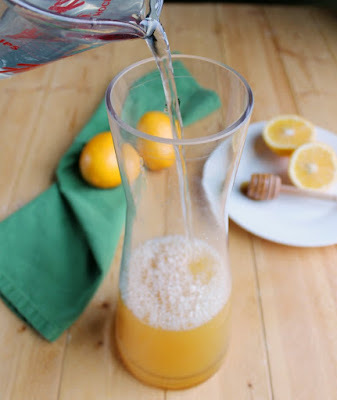 Stir together honey and lemon juice until honey is dissolved. Add water and stir to combine. 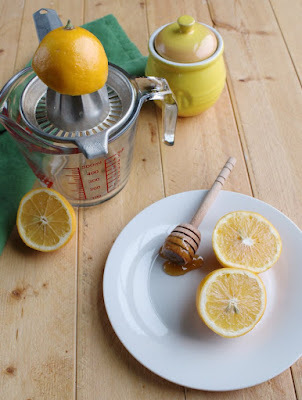 Adjust sweetness with a little more lemon or honey to taste. 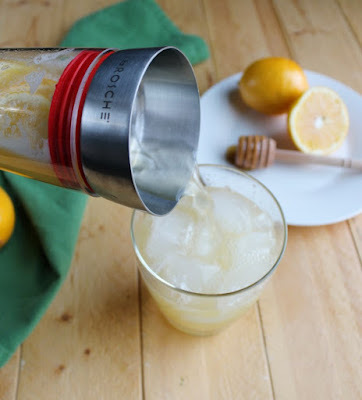 This looks super refreshing and perfect for a warm day! This looks and sounds soooo refreshing! I can’t wait to make this for me and my guys this summer! Happy Friday! This is the perfect time drink! 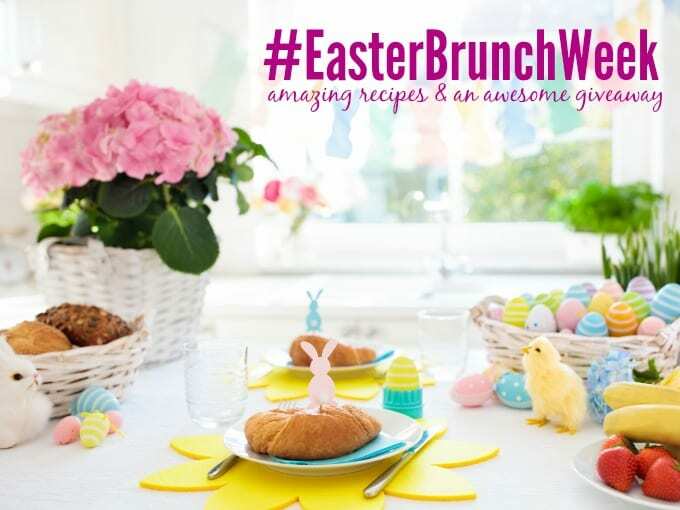 I am looking forward to making this and enjoying it with honey!